Can you say JUST MARRIED?! Congrats, you finally tied the knot. it's official! 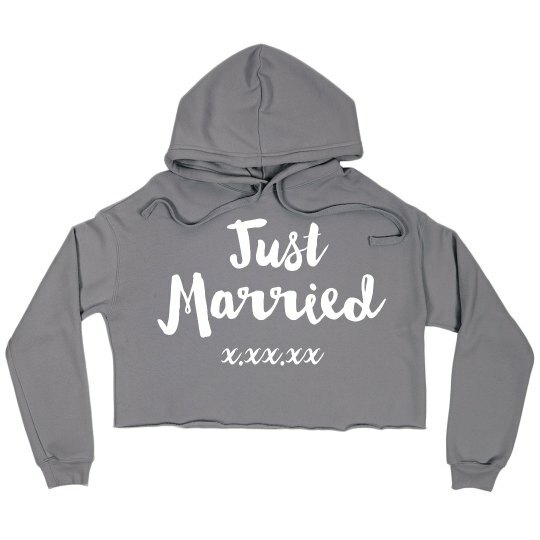 Jet off to your dream honeymoon in this super trendy, casual, and comfy hoodie. Perfect for lounging! Customize it by adding your wedding date.